Barclays announced a shake up at its investment banking business on Thursday aimed at streamlining the business in the face of a more challenging outlook for the industry. Rich Ricci, head of corporate and investment banking, told staff in a memo seen by Reuters that regulatory change and clients' demands mean a greater degree of regional leadership and coordination is needed. He will merge trading and distribution teams across fixed income, commodities and currencies (FICC) and equities into a new Markets business, which will be led by Eric Bommensath, who was previously head of FICC globally and trading in Europe. Jerry Donini will become chief operating officer for corporate and investment banking. Ricci has been reviewing the management structure since becoming sole head of the business in July, after co-head Jerry del Missier quit in the wake of a Libor interest rate rigging scandal that rocked Barclays. "We have taken market share through the turbulence of recent times, but with markets remaining challenging we must continue to control our own destiny," Ricci said in the memo. Skip McGee will become chief executive of corporate and investment banking in the Americas, adding to his role as head of the advisory division. Patrick Clackson will head the business in Europe, the Middle East and Asia, and Robert Morrice will remain as chief executive for Barclays in Asia Pacific. Ricci announced several senior staff will leave. 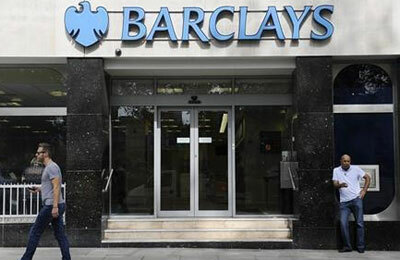 Iain Abrahams, who became a vice chairman of Barclays last year, will leave at the end of this year. He worked with the group on treasury and tax issues, and retained responsibilities in the investment bank, including managing legacy real estate positions.